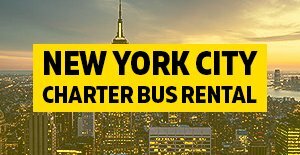 Who says school bus rentals in NY & NJ can’t be a fun way to travel? Many groups save money when choosing between a charter bus and a standard yellow school bus. We understand not all groups require luxury vehicles for their group transportation and some just require a one way transfers or basic shuttle services from one location to another. Did you know that yellow school buses are one of the safest buses on the road today as these school buses are primarily made to transport students. Our kids must be safe at all times so these vehicles go thru extensive Federal and State inspections to make sure everything is in excellent operating order at all times. 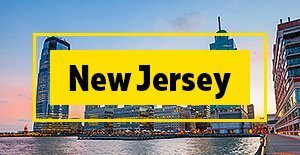 Are you in search for a yellow school bus rental in NYC or NJ for a upcoming school trip, New York City tours, employee shuttle, wedding shuttle service, hotel transfers, private shuttles, family/friends field trip or extra-curricular activity? Your search for a standard school bus charter is over; we offer safe and reliable transportation for any group event. Here at Charter Everything, we are committed to making your travel planning seamless so that you can spend sufficient time with the children, other teachers, friends, family, guest and other passengers in your group. We offer a wide range of both small minibuses 20-38 pass shuttle bus, 49 & 56 passenger charter buses and standard 40 passenger deluxe school buses to choose from, get the best rates to suit your budget, requirements and personal taste. 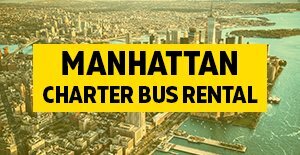 Private School Bus Charter in New York & New Jersey. Being a local (NYS DOE) New York State Department of Education vendor our transportation service is one of the safest around all buses are screened over and over to make sure you receive only the best, we understand that when it comes to student school trips, one of the biggest concerns of parents is safety. Accordingly, we keep safety of our all passengers as top most priority. This is the reason our Private School Bus Charter Rental service has become the best choice for school’s educational and recreational field trips. Our deluxe and well-equipped buses are available at discount day rates for clients. We always offer economical services to cater to all your travel needs without exceeding your budget. 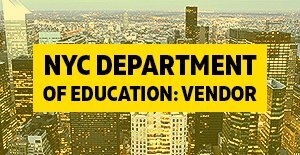 These school buses can be reserved for up to 40 passengers in every corner of New York City and New Jersey. In order to fulfill every expectation of our clients, our school buses come with standard Large Windows, AM/FM Audio System and Heating System. Our school buses are regularly maintained to give a pleasant and welcoming environment to all passengers. We also offer both mini buses and charter coaches buses for long distance school trips and corporate events. Depending on the number of passengers, budget and other specific requirements, you can choose the best one. Select a school bus, provide complete details of your trip to our professionals and we will send you a free price quote. Our prices are quite reasonable so you can arrange a private school bus rental without making a dent in your pocket. 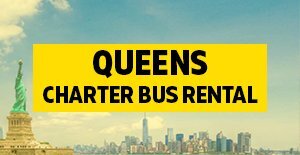 Call us today 1-855-NY-NJ-Bus or 1-855.-696-5287 to schedule a school bus rentals. We will take care of the driving and everything else. All you need to do is to relax and enjoy.